A crew from Williams Pipeline made major additions to the Rangely Community Gardens during its annual Day of Caring on March 31. From left to right are: Caleb Wiley, Lehi Smith, Deejay Chivers, Lori Lazarus, Steve Mahler, Rhet Tinker, Tyson Hacking, Kenny Fuller, Micky Kiever, Robert Baughman and Kevin Keel. Kneeling, from left, are: Joe Kerksieck, Otis Wiley and Zane Wiley. RANGELY I Last summer, 9-year-old Adywen Meeks grew her first vegetables and flowers in a four-by-four foot plot at Rangely Children’s Garden. Her grandmother, Beckey Hume, helped her choose the plants and worked with Children’s Garden coordinator Beth Wiley to teach Meeks how to water, weed and feed them. Meeks caught on quickly and was anxious to arrive each day to observe new growth and identify vegetables ready for picking. By the end of the growing season, Meeks basked in her success. The zucchini and pumpkins flourished as had a candy cane-shaped flower she had a special affection for. Getting a late start planting carrots made for disappointment when she pulled up her three-inch harvest, but it only strengthened her resolve to work for a more bountiful crop this season. By nurturing plants during the season, the third-grader learned she had sown more than seeds; she was harvesting a new passion for growing things. 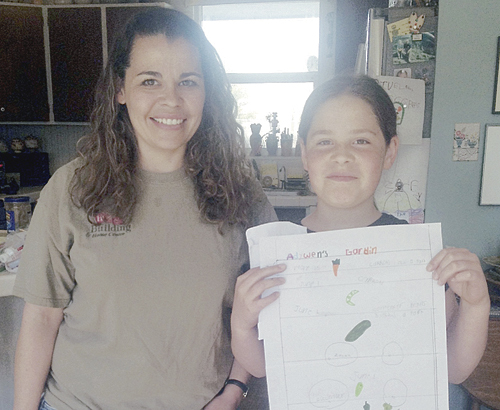 Laurie Baker and her daughter Adywen Meeks, 9, show the garden plan that Meeks created to plan out fruit and vegetable spacing for her garden plot this year. Meeks, who began with a children’s garden plot last summer, is graduating to a full-sized plot this gardening season. Children like Meeks are one reason the Northwest Pipeline Vernal District of Williams Pipeline chose the Rangely Community Gardens for its 2015 Day of Caring, a component of the company’s annual United Way service projects. The Children’s Garden is one of six sections of the Rangely Community Gardens where children participate in growing and harvesting vegetables, learn about and taste natural food and engage in active, outdoor play. On March 31, 13 Williams workers joined in a community effort to help the Community Gardens continue carrying out its mission. In addition to helping kids know where their food comes from, the gardens aims to strengthen the community through education and involvement in gardening and provide fresh produce for community members, particularly the elderly, sick and those in need. In the space of eight hours, workers had built a lean-to shed to store and protect garden equipment, constructed a pergola for shade in the Children’s Garden, made boxes to separate individual garden plots, spread mulch on garden pathways and rebuilt dilapidated picnic tables. Williams lead operations technician Lehi Smith was on the crew that completed the work. For the last couple of years, Williams’ Day of Caring projects took place in Vernal. 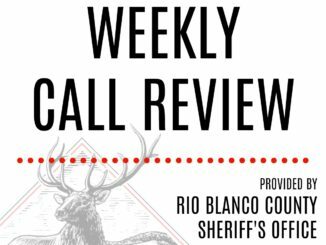 So when Vernal District administrative assistant Lori Lazarus asked Rangely employees to recommend projects on the district’s Colorado side, Williams technician Ray Miller offered wife Janet’s suggestion to consider the Community Gardens. Lazarus knew that while the project would involve more planning and preparation than past workdays had, it was the right fit for Williams. She met with Wiley, who offered a “wish list” of projects. As both women began seeking possible supply donors, Lazarus worked to mobilize the equipment, tools and men needed for the job. Without key community donors, however, the day’s work would have been stymied before it began. A lagging economy had several businesses unable to donate, but Wiley knew the work had to happen. Finally, just the right business came through. Heritage Building Center, whose owners, John and Beckey Hume, watched granddaughter Adywen Meeks fall in love with gardening last summer, sold the gardens the culled lumber the projects needed for a mere $50, delivering it and other discounted supplies before the Day of Caring. 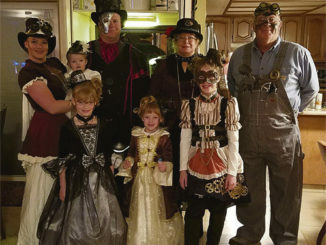 In addition to the connection to Adywen, the Humes had other reasons for their support. Moon Lake Electric Association’s donation and delivery of light poles for eventual garden benches, the use of Lazarus’ personal tractor for the day and Smith’s personal contributions of planting containers to the Children’s Garden made the project truly community oriented. 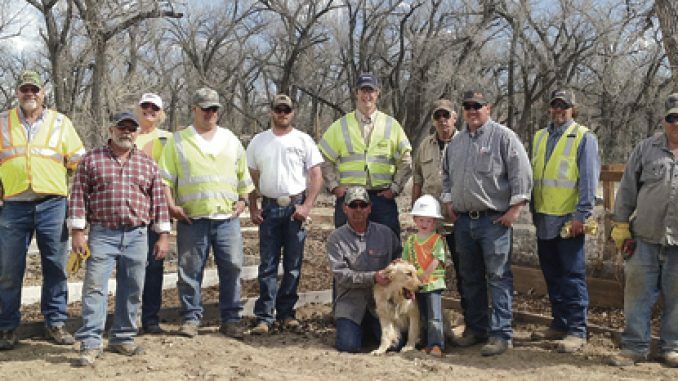 As men divided into small groups to put their skills to use, Wiley’s 4-year-old son, Zane, and golden retriever, Otis, were quickly dubbed the day’s “project managers” and helped keep the group upbeat and entertained. During the day, project after project fell into place, with only a short break midday while the exhausted crew shared a West End Drive-In meal on the picnic tables they had just reconstructed. “You had to remind the guys to drink water and take a break,” Lazarus said. “They were hitting it hard, giving it 110 per cent, and everybody was just pooped by the end of the day. Soon, everyone else will, too. By June of last year, Meeks and her family were already planning the full-sized plot the third-grader would lease this season. They planted strawberries last fall, layering straw and hay over the beds to protect the plants through the winter. At Christmastime, Meeks began nursing cherry tomato seeds into young plants. 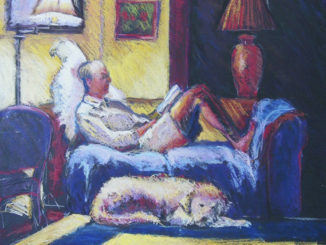 A couple of weeks ago, she and Wiley sketched out a detailed plan for the large plot. Now, Meeks can’t wait to get dirty. Testimonies like Meeks’ remind Lehi Smith that work done during the annual Day of Caring matters. To learn more about the Rangely Community Gardens, go to www.rangelygardens.com. 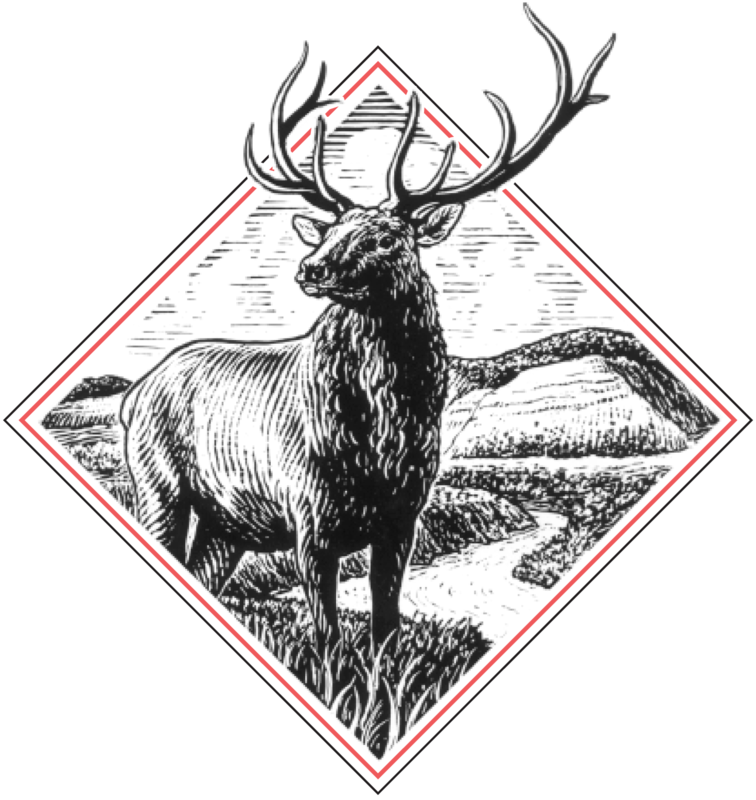 To participate in any of the Gardens’ programs, contact Beth Wiley at 970-274-1239. 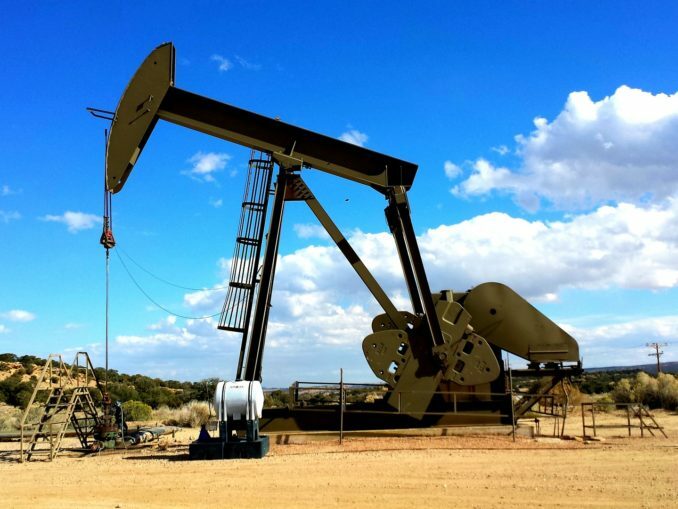 Williams recently separated into two stand-alone, publicly-traded corporations, Williams and WPX Energy. 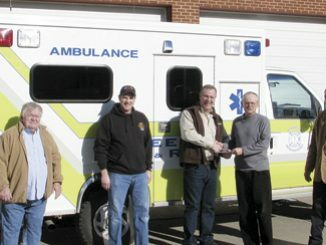 Representatives from both were in Meeker to donate $15,000 towards the purchase of a second quick-response vehicle for the Piceance Creek area. Though it may not look like much is going on above ground, the Rangely Community Gardens areas and family plots have been planted and are beginning to show signs of growth. Thanks for making this article available online! It’s so nice to be able to share it with the community and out of town family and friends!